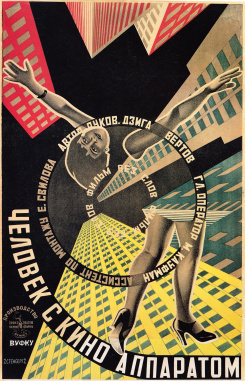 This work by Soviet pioneer Dziga Vertov is a celebrated cornerstone of early cinema. An experimental documentary essay which remains fascinating after all these years, the film shows scenes of city life in Moscow, Odessa and Kiev, described as an “experiment in cinematic communication of visible events”. The title self-reflexively describes what is happening: we see the cameraman recording the images we are seeing; a man is shown with his camera tripod, rushing about, daringly hanging from trams to get his shot. But it is also the film’s subject: man and cinema. 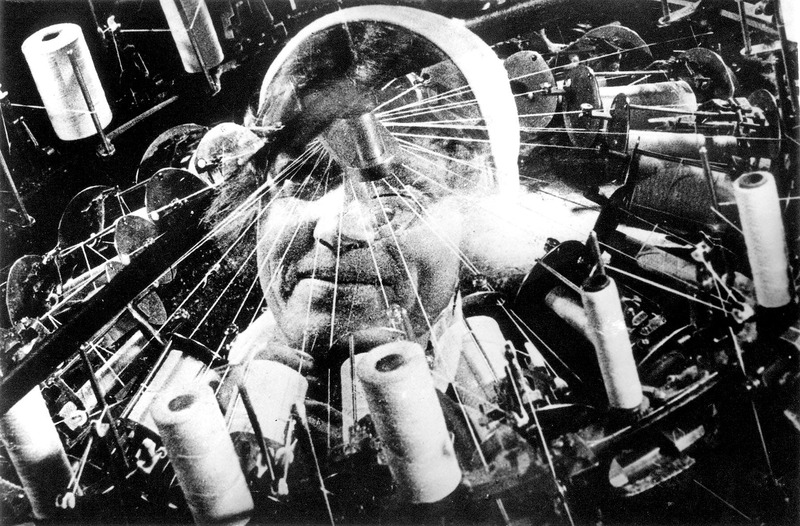 The combustion engine gave humanity the new experience of speed; now the movie camera gave us a dizzying new speed of perception and creation. 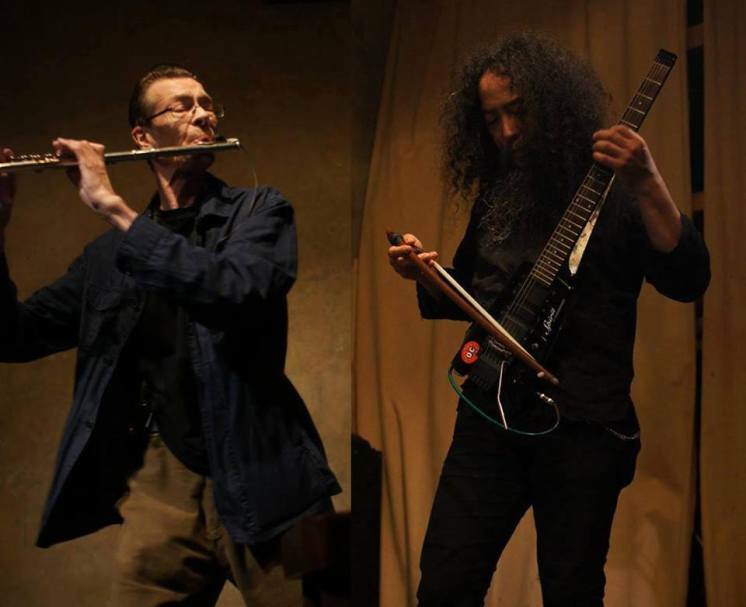 For 'Man With a Movie Camera' Geoff Leigh and Makoto Kawabata will embrace a wide range of instruments, styles and influences, mixing elements of ethnic, rock, jazz, world, ambient and electronica. Geoff Leigh (UK) is well known for his work with Henry Cow in the early 70's, as well as contributing to fellow Virgin bands of the time Hatfield And The North & Slapp Happy. Over the years he has performed with members of Faust, Henry Cow, Porcupine Tree, Nurse With Wound, Univers Zero, Aksak Maboul, Acid Mothers Temple, and musicians such as Max Manac'h, Mitsuru Tabata, Tatsuya Yoshida, Aogu Tanimoto, Kazuto Shimizu, Filippo Opaki, Yumi Hara, Sawada, Anthony Donovan, Uwe Bastianson (Stadtfischflex), Magnus Alexanderson, Adriano Lanzi, Tim Bowness, & Nana Tsiboe. He is currently a member of Murmurists, The Warrior Squares, Jump For Joy (featuring members of Faust & Henry Cow), and The Artaud Beats (also featuring Henry Cow alumni). Makoto Kawabata (Japan) is a guitarist and multi-instrumentalist, and leader of the psychedelic rock band Acid Mothers Temple. While he's best known for his earsplitting, speed guru guitar heroics with AMT, he's also the founder of his own school of ecstatic guitar drone using bowing and glissando techniques. Kawabata first started releasing works for electronics and homemade instruments in 1978. Since then his activities have been almost too wideranging to grasp: he has formed multiple units, released a plenitude of albums on labels all over the world, toured extensively in Europe, the US and Asia. He has played together with psychedelic originators like Gong, Guru Guru, Silver Apples, Nik Turner, Damo Suzuki, Träd Gräs och Stenar, with Occitanian trad musicians from the south of France including Rosina de Peira, Marc Perrone, Andre Minvielle, Beatritz, and in innumerable other sessions spanning all genres.